3D, Highest Resolution Imaging of smaller blood vessels in full details. Retinal Angiography without dye injection. Early diagnosis and intervention in Diabetic Retinopathy. Early diagnosis of Keratoconus using Epithelial thickness mapping. 9 mm wide Cornea OCT.
Now We have installed the World's Fastest & North India's First and only Wave Light® EX500 Excimer Laser Built for Speed and Superb Outcome from Alcon USA .Available in India only at Bangalore , Chennai and now in Dehradun only at Drishti Eye Center. Featuring a 500 Hz repetition rate, the Wave Light® EX500 Excimer Laser delivers the world’s fastest ablation times at only 1.4 seconds per diopter,* resulting in consistent outcomes. In the rapidly developing technology of digital cameras, retinal imaging techniques advance quickly towards higher resolution and newer methods. New diagnostic modes and procedures require versatility, precision and reliability more than ever before. 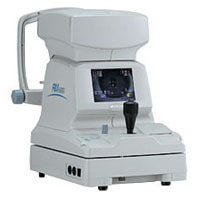 The TRC-50DX : Leading the way in retinal cameras. 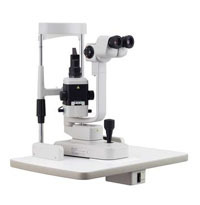 The Applanation Tonometer from the house of Tisha medical export comes utilized for measuring of intraocular pressure comes engineered for the purpose of complete surface mounting onto the microscope. 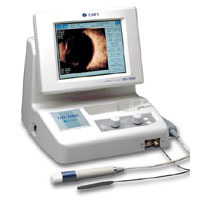 We have enabled our Tonometer such that it comes to as a mechanism to that comes towards the front for the sake of better clarity and vision enhancement. 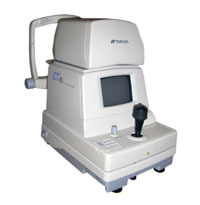 The non-contact tonometer is an applanation tonometer and works on the principle of a time interval. Measuring the time it takes from the initial generation of the puff of air to where the cornea is exactly flattened (in milliseconds) to the point where the timing device stops. It takes less time for the puff of air to flatten a soft eye than it does a hard eye. The applications of ultrasound machines are numerous and commonly used for obstetrics, echocardiography and biopsy just to name a few. 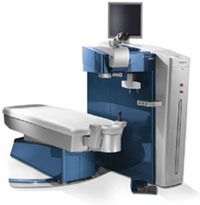 Ultrasound Machines is a non-invasive way to provide valuable medical details compare to traditional tools and diagnosis techniques. In other word, it has greatly helped medicine become safer and more accurate. Here are some common functions of the process. 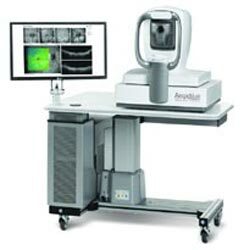 Corneal topography, often referred to as photokeratoscopy or videokeratography, is a technology frequently relied upon by optometrists in the eye care health field. 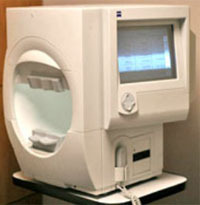 It uses computerized equipment and analytic software to measure the natural curvature of the human cornea. Using a unique system of concentric rings projected onto a person's cornea, a virtual image is created from which calculations are made to determine cornea curvature. A pachymeter is a medical device used to measure the thickness of the eye's cornea. It is used to perform Corneal pachymetry prior to LASIK surgery, for Keratoconus screening, LRI surgery  and is useful in screening for patients suspected of developing glaucoma among other uses. 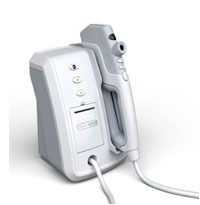 Modern devices use ultrasound technology , while earlier models were based on optical principles. 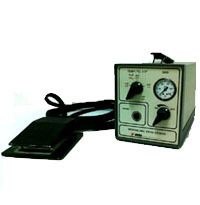 The ultrasonic Pachymeters traditionally have been devices that provide the thickness of the human cornea in the form of a number in micrometres that is displayed to the user. 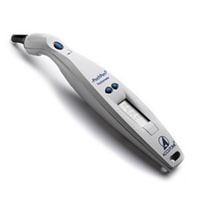 Streak Retinoscope is an Ophthalmic Instrument which is used to objectively determine the refractive error of an eye. 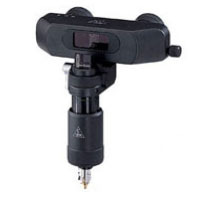 It is a Streak and Spot Retinoscope in one and is converted by simply changing the bulb. 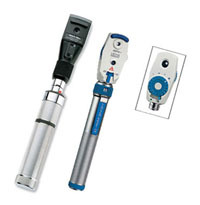 Retinoscope with C size battery handles in case or zipper pouch packing. 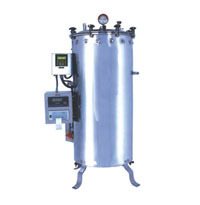 These machines are carefully fabricated using high grade basic material and electrical components sourced from trusted vendors in the market. Intricate engineering and superior features of these equipment have resulted in enhanced performance, safe & easy operations, energy efficiency and dimensional accuracy in the end products. 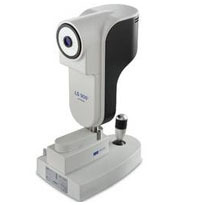 The all in one optical biometer LENSTAR LS900® provides the user with a complete biometrical assessment of the patient's eye in a single measurement procedure, including lens thickness, anterior chamber depth (lens position) and retinal thickness. 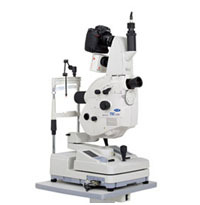 The all in one biometer, keratometer, pachymeter, pupillometer and IOL calculator Get up to nine measurements in one shot, including lens thickness. 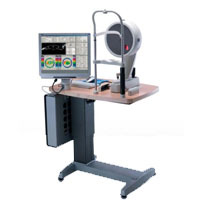 All measurements using laser optical technology Align once, get all results. Measurements on the visual axis Highly reproducible results on all parameters. 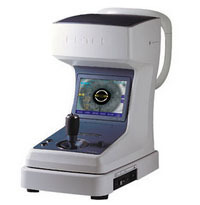 Optical coherence biometry revolutionised cataract surgery, the LENSTAR is about to revolutionise optical biometry. In addition to the ease of using only a single measurement, the LENSTAR® also provides a user-friendly application and navigation of the software interface. This allows even inexperienced persons to easily begin to use the device without intensive training. 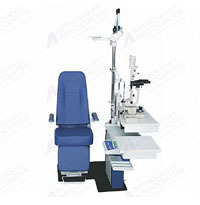 Measurements can be performed by assistants, thus improving the efficiency of the clinic.